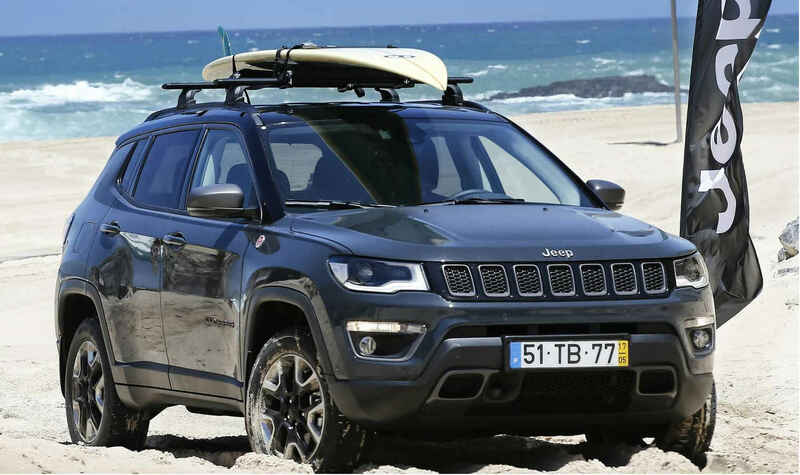 Jeep Compass has gained a lot of popularity in India in a short span of time. The most affordable Jeep branded SUV in India has made a lot of fans and it has become the best selling SUV in the segment. 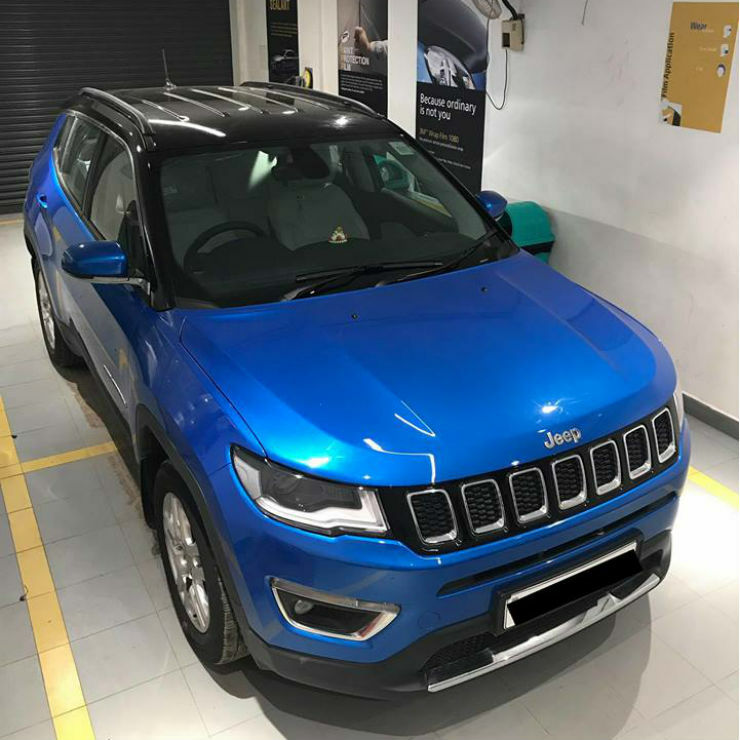 With the increasing number of Jeep Compass SUVs in India, people are customising it to make it look different from the rest. 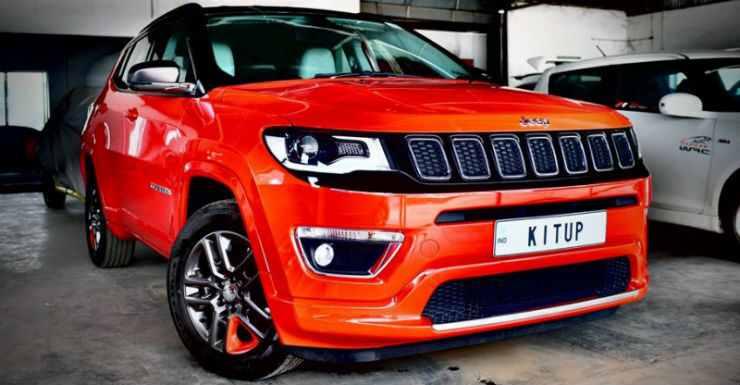 Here are five modified Jeep Compass SUVs. 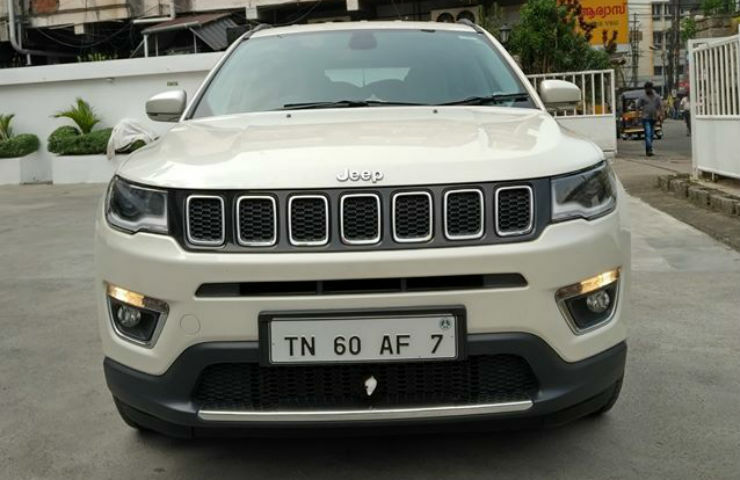 This example of modified Jeep Compass is one of the first ones in India. It has been done by the popular customisation house, Kit Up! and it gets many changes that make it look unique on the road. In stock form, the Compass gets many dual tone body parts but the customisation has modified them into body coloured parts. Only the top end of the Compass gets dual tone body paint, this customisation also adds a dual tone black roof to the vehicle. The stock Jeep Compass only offers HID lamps while this one gets LED lamps. The owner has changed the headlamp and the fog lamp to the LED lamps giving it a much premium look and better lighting too. It also gets an SRT badge at the rear. 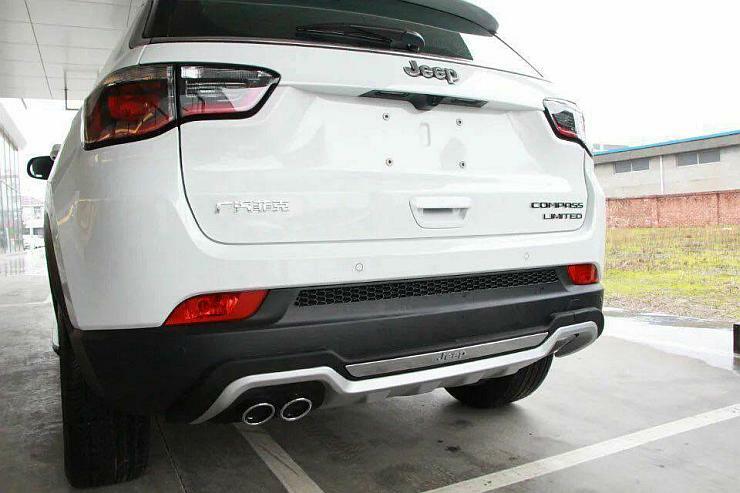 Here is one body kit version of the Jeep Compass that adds a sporty look to it. The body kit that costs about Rs. 20,000 consists of a bumper insert with red highlights, the rear also gets a similar bumper insert but there are no red highlights. The car also gets new side-steps. 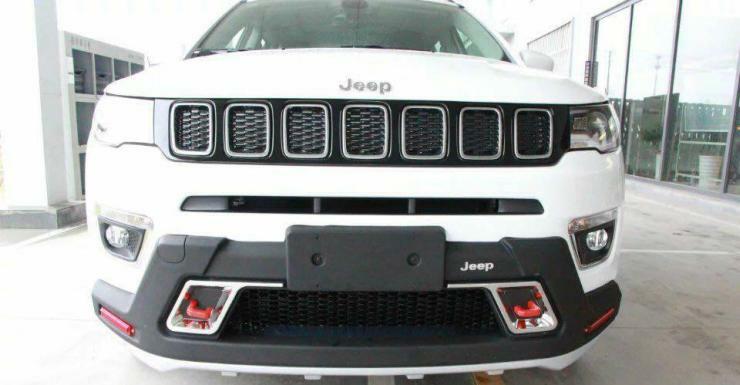 The new red highlighted bumper gives the Compass a very “Trailhawk” inspired look. The red colour has a contrasting effect with the white body that gives it a very sporty appeal. The easiest solution to give a new look to the vehicle is to wrap it up. It is much easier than painting the whole vehicle and it is legal too! 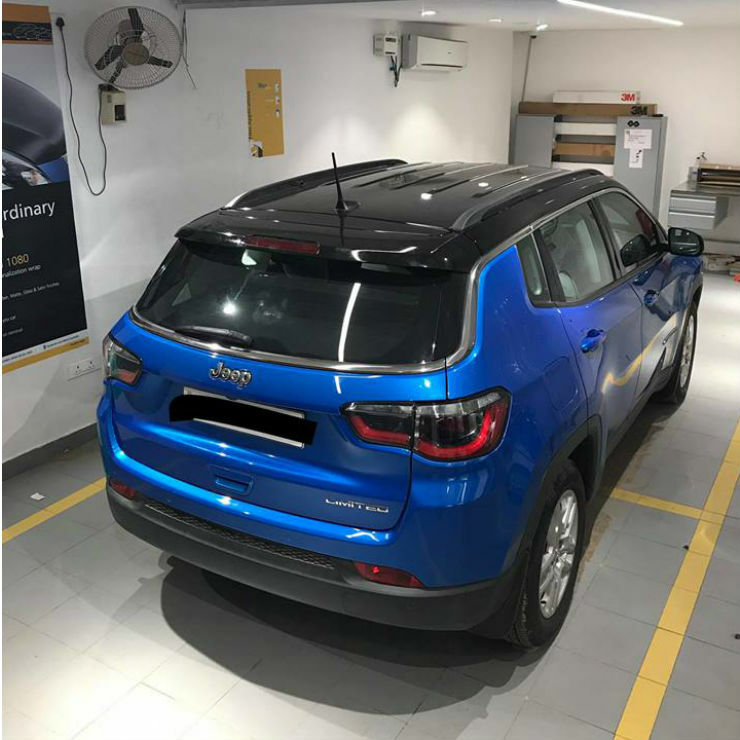 Here is a Jeep Compass that has been wrapped in a beautiful blue shade. Even though Jeep offers a blue shade in India, this Blue is much deeper in colour and looks very royal. It also gets a black wrap on the roof that gives it a dual tone effect. Wrapping a vehicle does not need changes in the Registration Certificate and is a much safer option than repainting the whole car. The Jeep Compass diesel is offered with two engine options – 1.4-litre turbocharged petrol and the 2.0-litre diesel engine. The diesel engine option produces a maximum power of 170 Bhp and 200 Nm. However, people who think that they need more power can go for remaps. 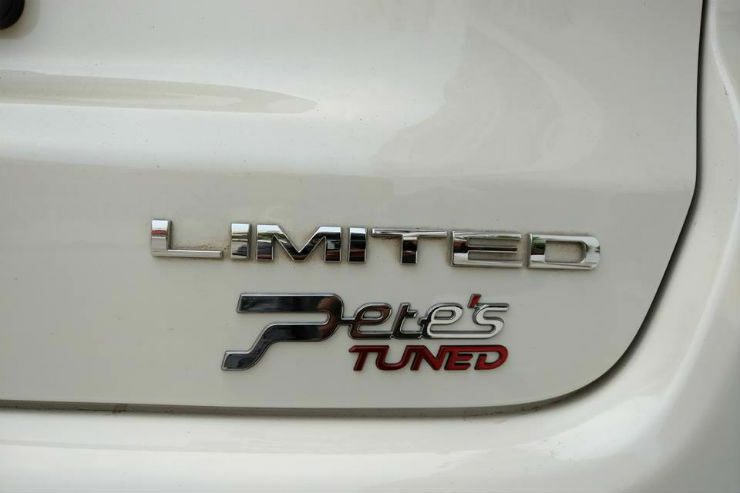 This is one such example that has received a tuning box from the popular Pete’s. The mapped version of the vehicle has a power output of 200 Bhp and 420 Nm, which is about 18% increase than the stock. 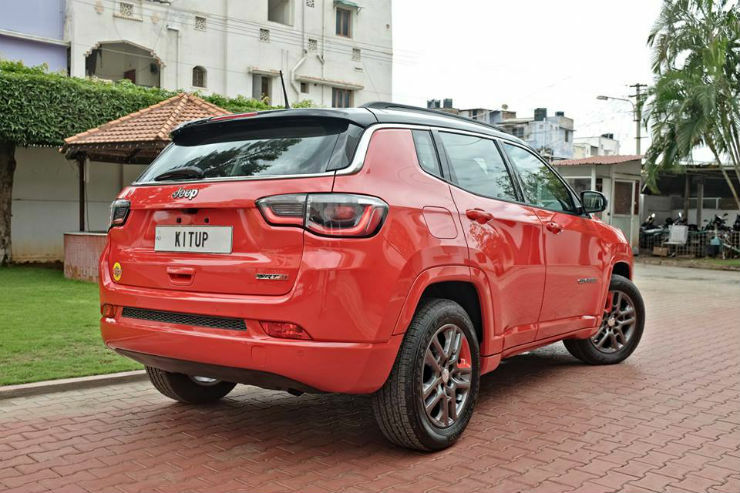 This is one of the most powerful Jeep Compass SUVs in India. Jeep India launched the official MOPAR accessories in India with the launch of the vehicle. The official MOPAR accessories are available at all the Jeep dealerships in India. 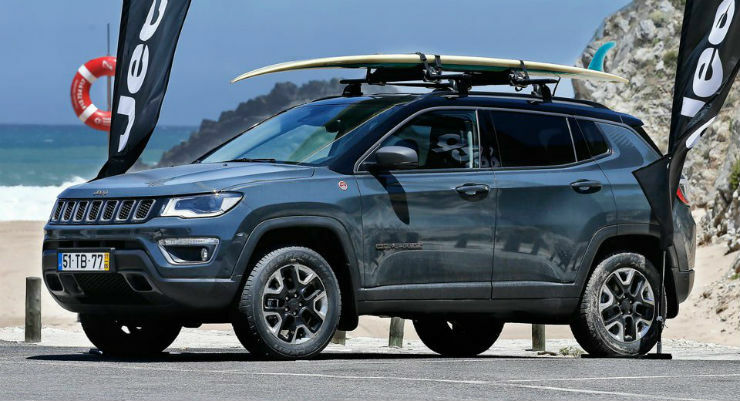 The official MOPAR accessories list include rock rails that protect the underbody of the vehicle, bigger 18-inch wheels, roof rack cross rails, rooftop cargo basket, body graphics, cargo tote, moulded cargo tray, door sill guards and all-weather floor mats. There are also side window air deflectors, a bright pedal kit and moulded front and rear splash guards. All the accessories may not be available at all the Jeep dealerships in India right now but you can always ask the dealership to get a particular accessory for you.